Other support for children and, exceptionally, adults may be offered from time to time if so decided by the Trustees. Who can apply for assistance from the Edinburgh Police Fund for Children? A family with school age children who are resident in Edinburgh and meet the application criteria can apply for a grant/voucher from the Fund. How do I apply to the Edinburgh Police Fund for Children? Applications to the Fund are normally made through a third party e.g. social worker, support worker, community nurse, head teacher, police officer etc. Families can self-refer if they do not have a suitable third party worker who could do this on their behalf. In such cases, an assessment visit from a Police Officer would take place. Applications are generally made online although, exceptionally, applicants who are self-referring can contact the Trust Administrator. To apply for a grant please visit the application form. A receipt evidencing the purpose of the requested items should be returned to the Trust Administrator within 4 weeks of receiving the grant. Due to very high demand, the maximum number of applications per school is 5 per term and an annual cap of 10 will apply. The Edinburgh Police Fund for Children (EPFC), formerly the Police Aided Clothing Scheme, is registered as a Scottish Charitable Incorporated Organisation, charity number SC011164, which was instituted in 1892 by the Lord Provost and the Chief Constable of the City of Edinburgh. Its priority was to “alleviate the suffering of necessitous children, or in exceptional cases adults, resident in the City of Edinburgh, by supplying them with footwear and clothing and by making such other provision to them as may seem requisite from time to time”. Over many years the Charity has distributed items of clothing (mostly warm jackets and footwear) to children of school age and food vouchers to older and vulnerable people. The Charity’s primary purpose is focused on children and it is the ambition of its Trustees that the majority of the available resources reach this group. EPFC is proud of its history and wishes to ensure that clear links to Police Scotland continue. From January 2016 the Edinburgh and Lothian Trust Fund has administered the distribution of grants on behalf of the Edinburgh Police Fund for Children. 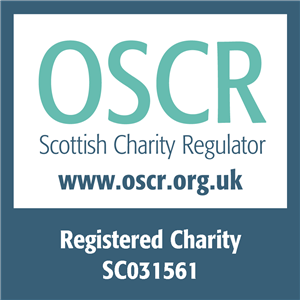 The Edinburgh Police Fund for Children (EPFC), is registered as a Scottish Charitable Incorporated Organisation, charity number SC011164. Download the Edinburgh Police Fund for Children leaflet.